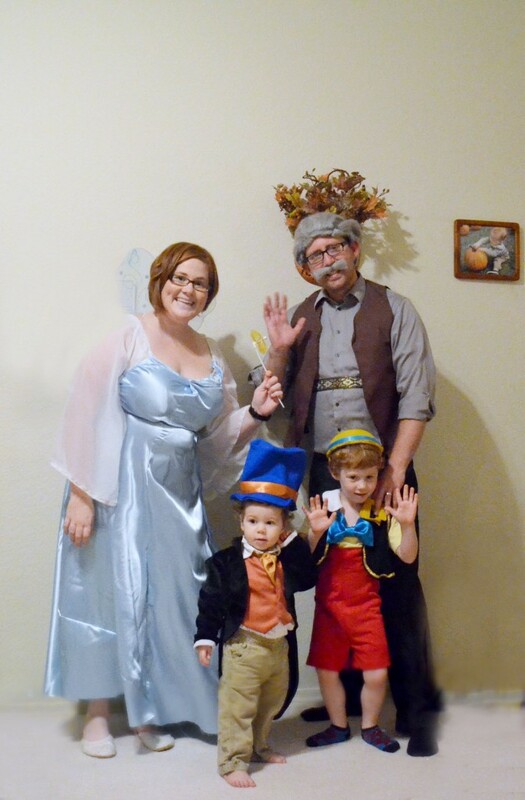 In case you haven’t picked up my family and I are huge Disney fanatics. It’s a love my husband and I shared long before kids. 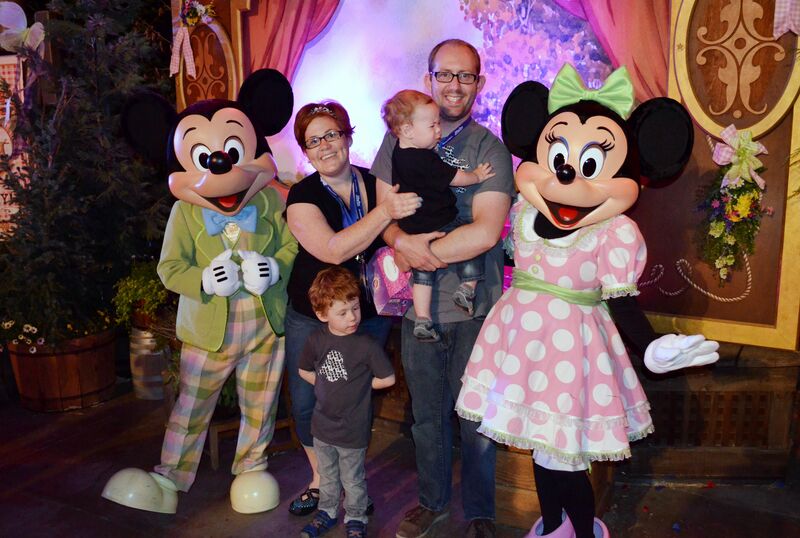 We are happy to pass on that love of Disney films and parks to our children. Our favorite time to visit though, is during the holidays. 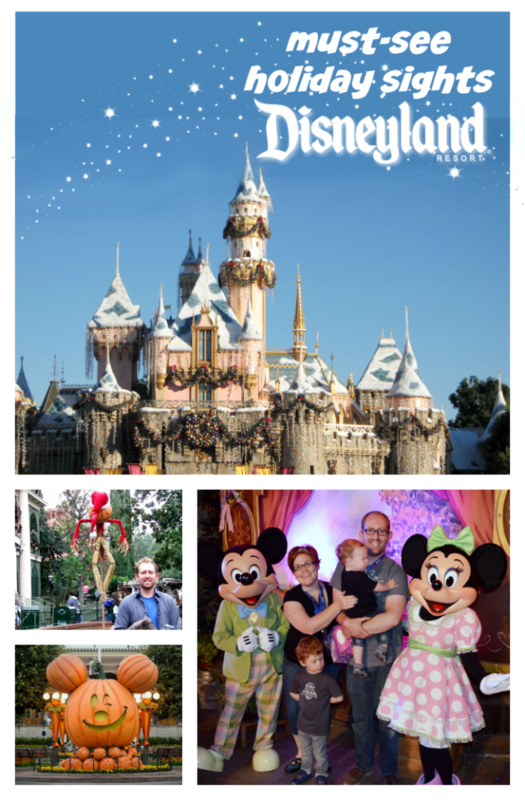 While any day at Disneyland or the other Disney Parks is surely magical, there is definitely extra pixie dust floating around during the holidays. Disney Parks not only creates a festive atmosphere during Christmas, they spread the holiday cheer to other big holidays like Halloween and Easter throughout the year. This is part of our families Disney Parks holiday bucket list. While several of these we have experienced ourselves, both boys were too young to remember. Our oldest was only 13 months when we visiting during Thanksgiving, our youngest 18 months during the Easter celebration. Mickey’s Halloween Party is at the top of our list. This is an event the whole family has yet to experience. During this special time adults are invited to dress up too! 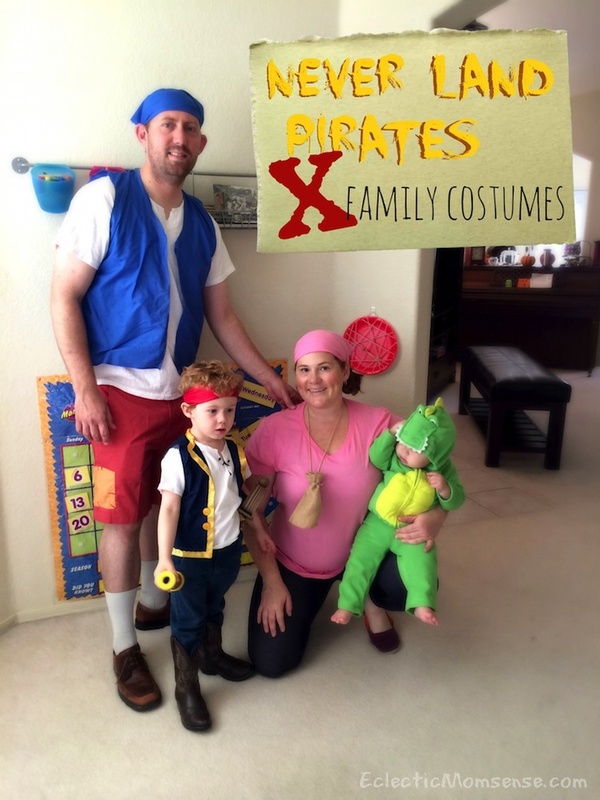 As our family always does family costumes, always Disney, it seems fitting we make it there someday. 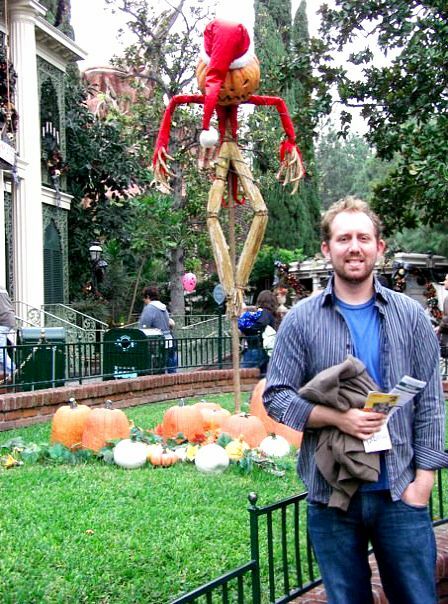 So what should you expect during Halloween Time at Disneyland? There are plenty of haunts for all ages. Haunted Mansion transforms into The Nightmare Before Christmas. Your favorite pumpkin king, Jack, can be seen materializing inside the mansion along with other members of Halloween Town. Space Mountain blasts off into Ghost Galaxy in a special haunted rendition of this Disneyland favorite. Plunge 13 stories in the always eerie Twilight Zone Tower of Terror. Visit Frontierland and take in the beautiful sight of a traditional Dia de los Muertas skeleton display. End your night with a stroll through the Main Street USA pumpkin festival. Hundreds of hand carved and painted pumpkins are on display. If you’re looking for something a little more spooktacular, checkout Mickeys Halloween party happening select nights September 25th-October 31st. This is a separate ticketed event. Special trick-or-treat stations can be found throughout the park with a large selection of candy and healthful goodies. Enjoy a special fireworks display, Halloween Screams. This boo-tiful fireworks spectacular is presented exclusively for Guests of Mickey’s Halloween Party. 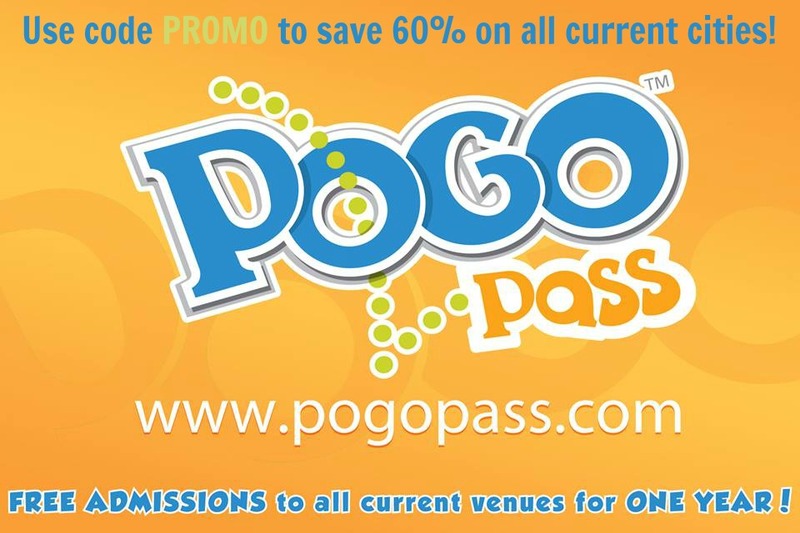 Most attractions are open during the event, including all the Halloween-themed attractions: Space Mountain Ghost Galaxy and Haunted Mansion Holiday. This is one of the only times you will see select villains roam the park. Capture a great photo opportunity at a variety of photo locations. Not so scary music and a dance party will have the whole family shaking their bones. The new nighttime parade, Paint The Night, will run with more than one million dazzling lights! You can read more about the special Diamond Celebration events here. 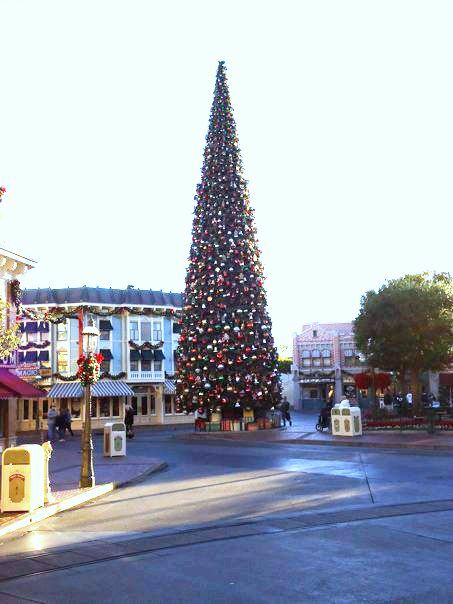 Disneyland transforms into the Merriest Place on Earth mid-November through early-January. This is our families favorite time to visit! The entire park and select areas in California Adventures transform into a winter wonderland, complete with dazzling lights and Christmas trees. Here are just a few of the holiday time offerings in the past. 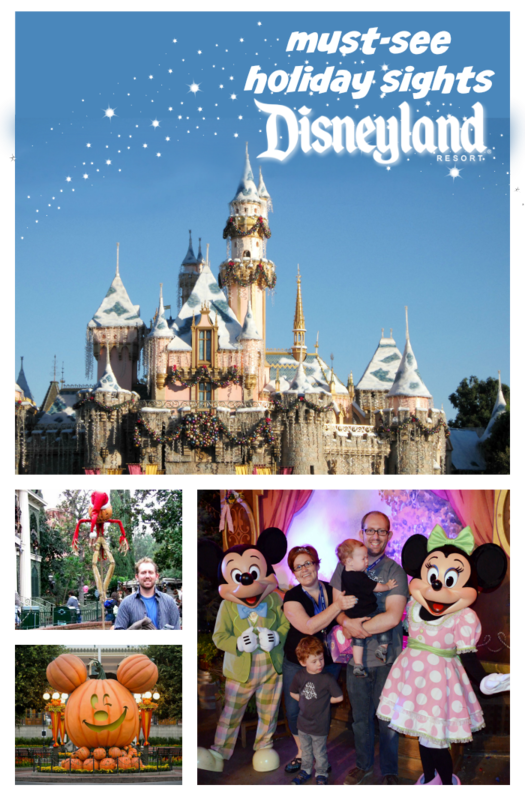 With the Disneyland 60 nighttime entertainment overhaul I’m excited to see what the 2015 holiday season will bring. Jingle Jangle Jamboree- Big Thunder Ranch in Fronteirland is a hidden jem anytime of the year. A less busier part of the park you can often have an intimate character meet and greet. During the holidays you will find Santa Claus and Mrs. Claus along with other characters dressed for the season. A Christmas Fantasy Parade- Special guests: Santa, Mrs. Claus, Snowmen, and reindeer dash down Main Street to a holiday soundtrack. Running since 1994 this is a fun seasonal parade. Your kids will love seeing Mickey and Minnie skating and the finale, Santa Claus. It’s a Small World Holiday- From the exterior to the interior It’s a Small World receives a big sprinkling of holiday cheer. The facade is covered with dazzling lights while inside the ride shifts with the addition of holiday props and a merry new song. Haunted Mansion Holiday- The merry haunts continue into the holiday season. Jungle Cruise- If you love a good pun the Jungle Cruise won’t disappoint. This much underrated ride is a favorite, especially the short lines! During the holidays you’ll get the same great humor with a seasonal twist, including a holiday makeover for the jungle. Candlelight Processional- This is one holiday sight to plan a special trip around, with only a few performance each season. Since 1958 special guests have lent their voice to reading the Christmas story while a Candlelight mass choir sings holiday songs. World of Color– In 2014 a special holiday show, Winter Dreams, graced the waters in California Adventure. The show, hosted by Olaf, was heavily themed with FROZEN. No word yet if it will return this year with the special new Diamond Celebration show. Disney ¡Viva Navidad!- Located in Paradise Gardens this daily festival celebrates Latino culture. Enjoy dancing, live music, crafts, and holiday foods at the area eateries. The grande finale in early January is Three Kings Day celebrations. Enjoy an egg-stra special event for 2 weeks. During the Disney Egg-stravaganza Disneyland, California Adventures, and Epcot become the playing ground for one HUGE Easter egg hunt. Special character eggs are hidden throughout the parks waiting for you to find. For a small fee you can purchase a park map to help guide you on your hunt. As you roam the park keep an eye out for your favorite characters. Place the corresponding sticker on the map. Once you are done (whether the map is complete or not) return for a special prize. Last year they handed out miniature versions of the eggs you searched for. Big Thunder Ranch becomes the hopping ground for some adorable rabbits and one very famous bunny. The ranch is decked in a selection of spring flowers and decor. You might even catch a special performance of the bunny hop! Have you visited the parks during the holidays? 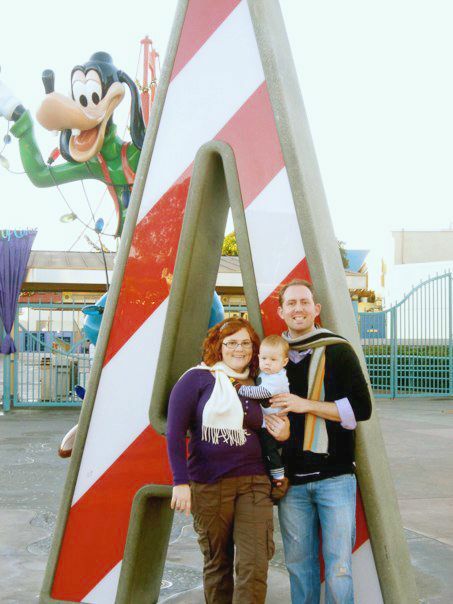 I’d love to hear your family’s Disney Park holiday favorites!